Adding hair extensions for body will provide you more of a benefit than any can of mousse. It is not to say that mousse will not help, however once your have experienced adding even just a little extra hair to your own fine hair, then you will completely understand. 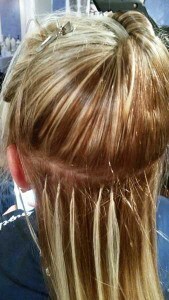 Adding hair extensions is not always about adding length. Finding both a hair colorist and hair extensionist that can take care of your complete look will make it convenient for you to achieve a complete look. Best not to color your hair at home when….you are wearing hair extensions because it is really important to take care of the attachment area. 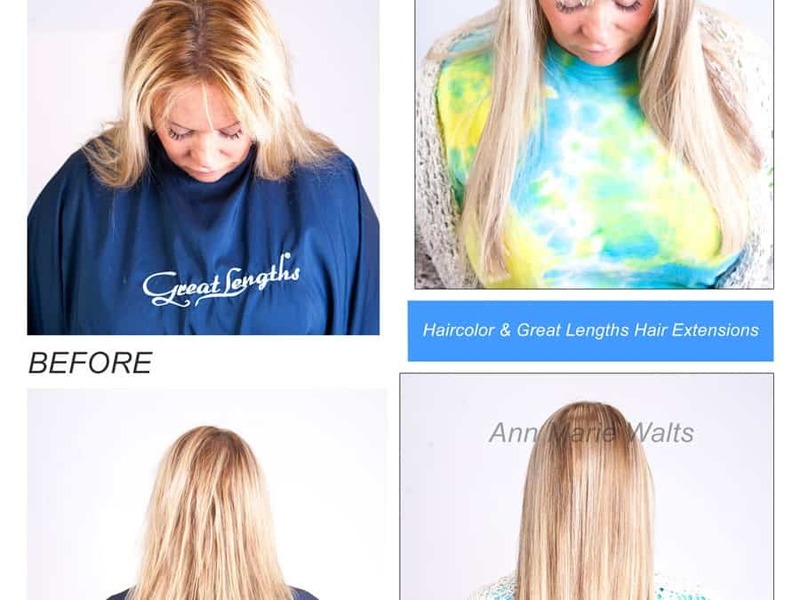 The reason why is that it can potential cause premature hair extension loss because it is necessary only have your extensions come in contact with professional hair color. When it comes to blonding, it is sometimes necessary to add some darker lowlights. This has to be done with care because of two reasons. One reason is that you do not want your lowlights to be too dark or to turn green. Is it Hair Color Or Extensions? The beauty of harmonizing hair color with or to hair extensions takes a certain skill. 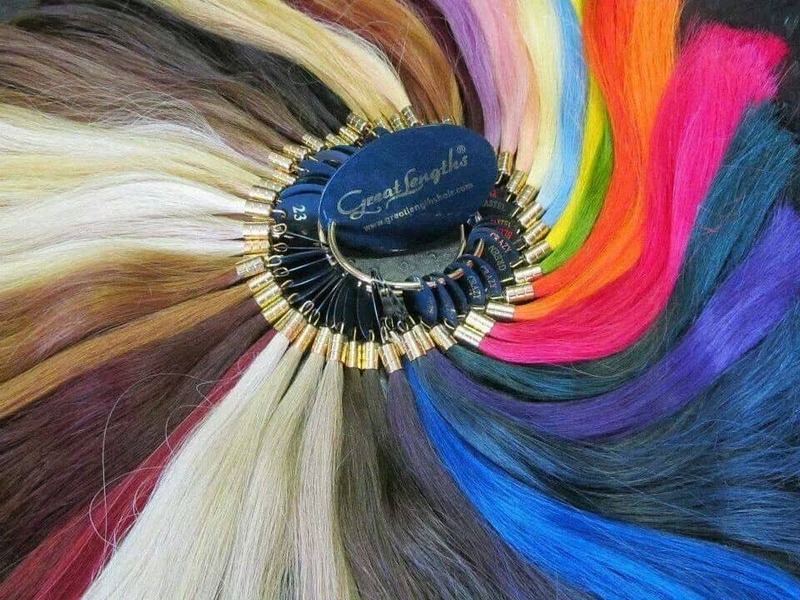 Great Lengths offers so many beautifully blended, natural looking hair colors that are simply stunning. Thickening your hair will give you more confidence. 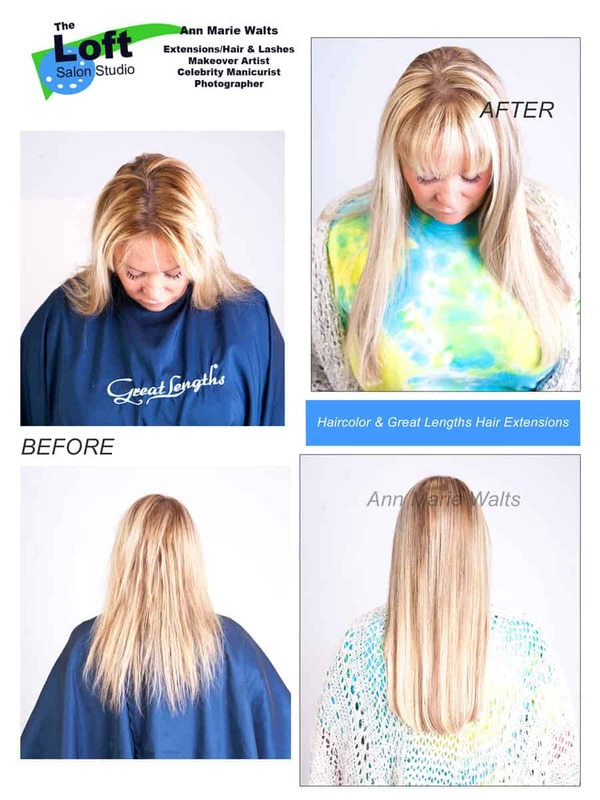 Finally….Great Lengths design included 3 different colors to marry her chemical hair color seamlessly to her hair extensions. Stand back for the ARTIST at work! 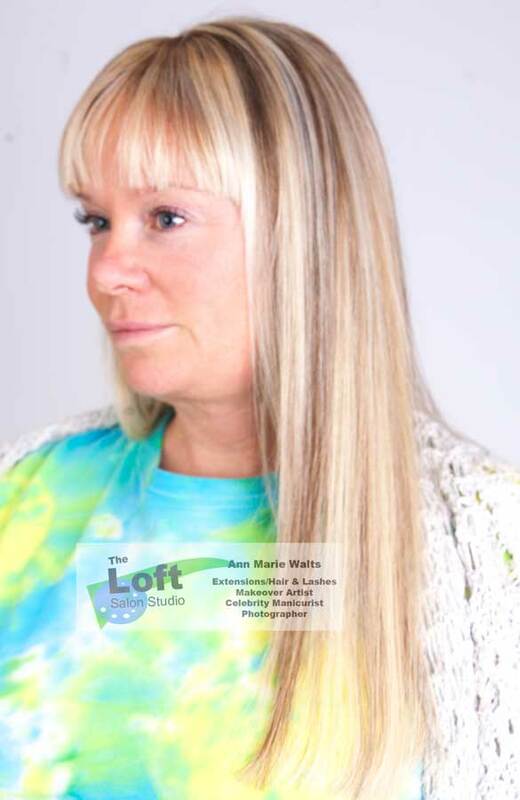 Ann Marie provides individualized, customized RESULTS that matter, Every time I leave The Loft I am transformed and SMILING. She is a master of her craft(s), which is totally to my benefit! And she loves what she does ,so she rocks it – every time! I would highly recommend this experience for extensions (lashes and hair), color, cuts nails and toes, but only for those people who know they deserve and expect a higher level of service and experience.